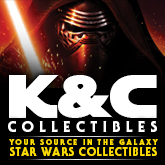 K & C Collectibles has added Black Series 6″, Topps 40th Anniversary Trading Card box, Older Titanium Ships, Gentle Giant Mini Bust and Hallmark Ornaments. Click the NEW PRODUCTS link under the Categories Section for a complete list of recently added items. 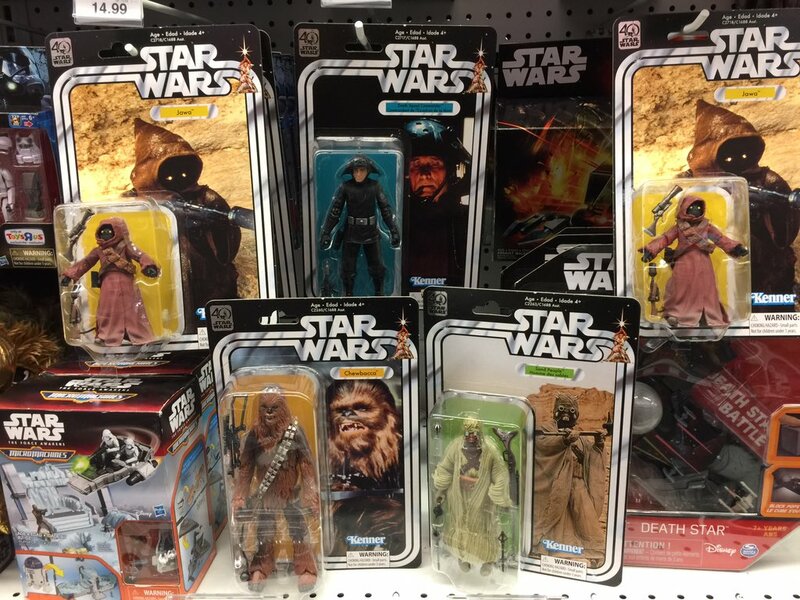 Twitter follower Manu N. reports finding wave 2 at a Toys”R”Us in Milford, Connecticut. Nice find!!! 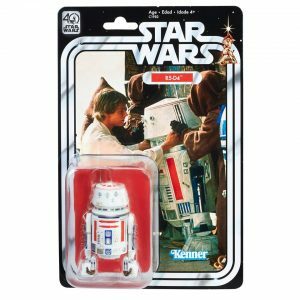 We managed to secure an extra GameStop Exclusive 6″ 40th Anniversary R5-D4 and we’re giving it away! * We want to know if there was one more figure to be released on the Vintage-style card back for the 6″ line, who would it be? Simply leave a comment here on this article (not our social media postings) with your answer. We will leave the submissions open until 11:59pm ET on Friday, May 19. and announce the winner on Saturday, May 20. *Giveaway is open to US residents only. Update: in winter has been selected. Check the comments section to see if you’re the winner. 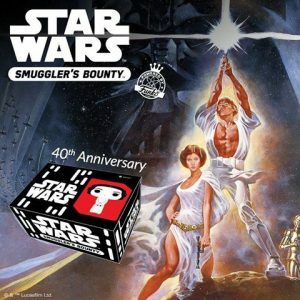 There are less than 12 hours remaining in Funko’s deadline for orders for their 40th Anniversary Smuggler’s Bounty subscription box. There are still some surprises to be revealed in this set but the big one can be seen on their site right now. Order yours today and look for the next theme to be revealed tomorrow! 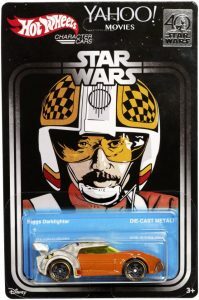 Yahoo Movies has updated today revealing Mattel’s Hot Wheels Biggs Darklighter Character Car which is exclusive to Star Wars Celebration this weekend. Head on over to check it out and other cars sporting the commemorative 40th Anniversary packaging. In case you missed the official announcement, it is now confirmed the Hayden Christensen will be attending Star Wars Celebration for the special 40th Anniversary celebration panel. 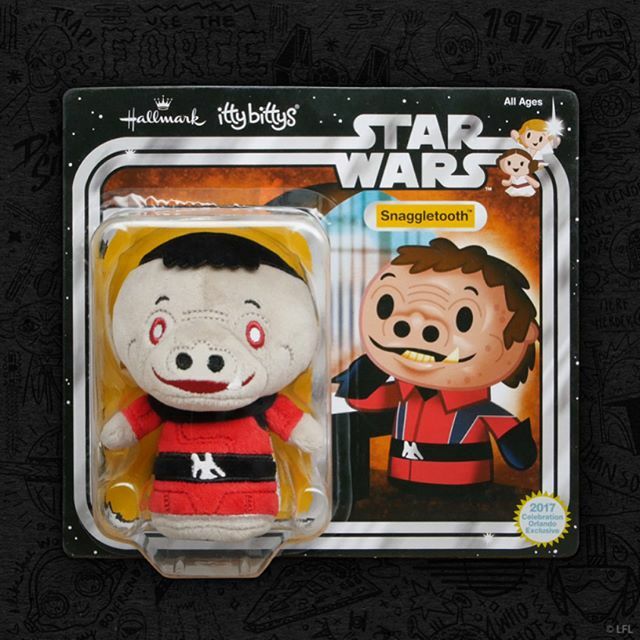 He will also be available for autograph signings through Star Wars Authentics. KANSAS CITY, Mo. 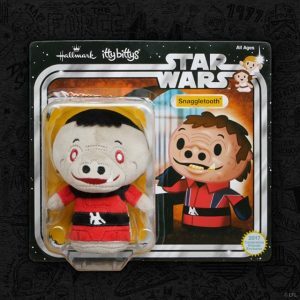 (March 16, 2017) — Commemorating 40 years of Star Wars: A New Hope, PopMinded by Hallmark will arrive at Star Wars Celebration with a new Keepsake Ornament and three new additions to the popular line of itty bittys® plush collectibles available exclusively at the fan event. Click on through for the announcement video. Funko has revealed the next theme for their Smuggler’s Bounty subscription box: the 40th Anniversary of A New Hope! Their site is currently under construction but look for orders to open up for this box soon if you aren’t already a subscriber. Customizer Peakob1 shows off his latest custom figures, as part of his vision of what a 40th Anniversary line should look like from Hasbro. Head on over to the forums to check it all out! Personal Note: In my humble opinion, these kit bashed repaints honoring the original trilogy blow Hasbro’s 40th Anniversary line out of the water. Imagine figures like these, on vintage-esque cards… ’nuff said. 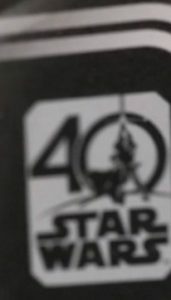 NY Toy Fair gets under way in a few weeks and, as you know, this year marks the 40th Anniversary of Star Wars. Packaging across many brands will display the above logo and the return of the iconic double racing stripe — at least until the marketing push for The Last Jedi begins that is. UPDATE: JediNews is currently posting their coverage of the UK Toy Fair in London and this post confirms our teaser from earlier today. 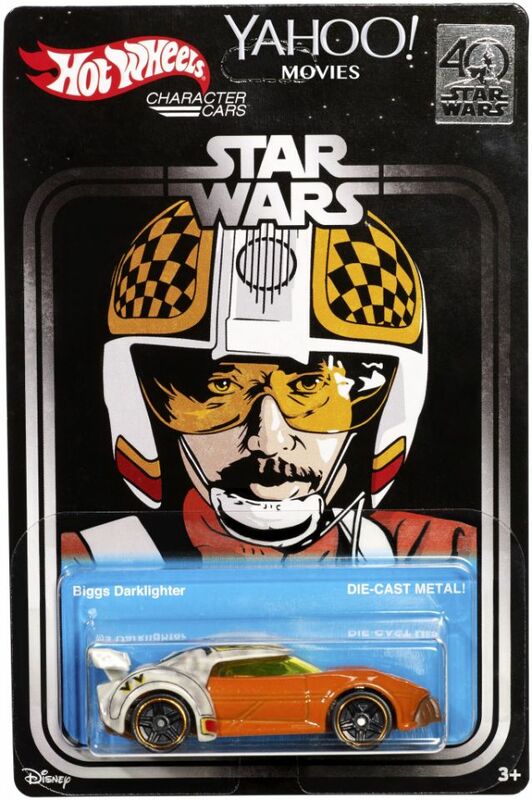 Revell’s packaging design always carries the current (or in this case, upcoming) line look for the Star Wars brand and we expect it will be no different for the 40th Anniversary branded products.